The following excerpts come from pages: i – III, 11, 12, 13, 14, 15, 16, 17,19, 20, 21, 22,23. The case of Guinea-Bissau, confronted with a succession of political and security crises since the mid-2000s, shows both the strengths and weaknesses of ECOWAS. It had already intervened in the country during the 1998-1999 civil war, but the improvised deployment of ECOMOG was a failure and ended with a rushed withdrawal from the country. Returning to Guinea-Bissau in October 2004, after a mutiny by the armed forces, ECOWAS distinguished itself by its capacity to intervene in a timely manner and defuse the political tension before it escalated into a lethal conflict. After the European Union (EU) suspended its involvement in security sector reform (SSR) following another army coup in 2010, ECOWAS tried to relaunch the process, in partnership with the Community of Portuguese Language Countries (CPLP), notably Angola. However, their goodwill was unable to overcome the lack of a clear division of labour between the different international organisations, rivalries between partners who were supposed to work together on the reforms, the governmental instability and the grip on Bissau held by unsavoury military leaders. Slow and incoherent administrative and financial procedures and the non-transparent management of resources and priorities in Abuja did not help matters. ECOWAS was therefore unable to give any impetus to the necessary reforms, notably in the security sector, even though the country had become a crossroads for cocaine trafficking in West Africa during the period 2005-2009. In April 2012, when a coup overthrew Prime Minister Gomes Junior, then favourite to win the presidential election, ECOWAS took advantage of the situation to strengthen its influence in the country and reduce that of Angola. While the CPLP and Angola strongly disapproved of the coup and called for Gomes Junior to be reinstated, ECOWAS reaffirmed its zero tolerance policy for coups while engaging in a dialogue with the coup leaders, in the name of pragmatism and realism, and encouraged the establishment of transitional authorities dependent on the latter. Nigeria, ECOWAS and other West African regional organisations then single-handedly supported these authorities. In parallel to its political involvement, ECOWAS quickly deployed, at its own expense, a military mission, ECOMIB, with the stated objective of facilitating the departure of the Angolan military (effective from June 2012) and supporting the restoration of constitutional order. ECOWAS then deployed a team of military experts to help the authorities relaunch SSR, long awaited by the country’s international partners. In Abuja, the deployment of ECOMIB since May 2012 and its continued existence since then are already a cause for satisfaction in light of the difficulties experienced by ECOWAS in Mali (see Section III.A.2). Made easier by the small size of the country, ECOWAS’s intervention in Guinea-Bissau since 2012 has showed it can obtain results if it has the backing of influential member countries and the necessary political, military and financial resources. 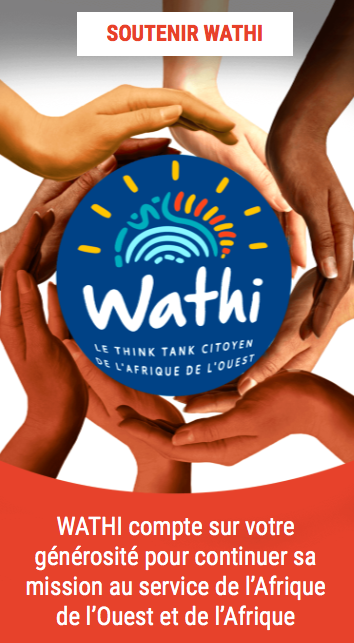 The role of ECOWAS during the Malian political crisis underlined the organisation’s importance as a diplomatic actor to be reckoned with and its lack of substance as a regional body capable of carrying out a decisive military intervention on its own in a complex environment. From the first quarter of 2011, the slowness of preparations for the elections and deterioration of the security situation in the north of the country began to worry ECOWAS. However, the organisation’s early warning mechanism and preventive diplomacy are not much use if the government of the country concerned does not share the same analysis and does not react to the same messages. The Malian president, although aware of his country’s fragility, seemed overtaken by events and incapable of providing political or military leadership. ECOWAS was also not able to provide leadership, having little experience in Sahel-Saharan security issues. However, ECOWAS faced a more familiar situation when successive routs of the Malian army in the north led to a coup against President Amadou Toumani Touré (ATT), led by Captain Amadou Haya Sanogo on 21-22 March 2012. 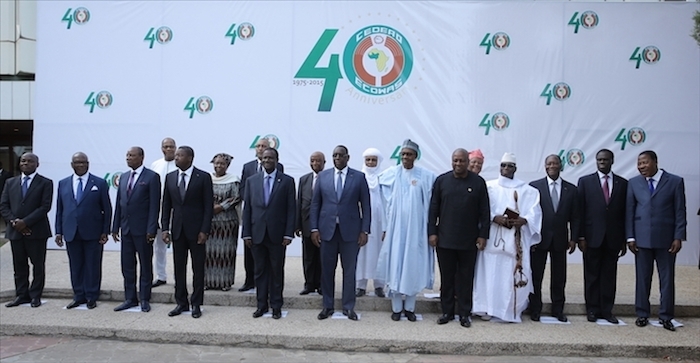 On the initiative of the president of Côte d’Ivoire, Alassane Ouattara, who was at that time chairman, ECOWAS held an emergency meeting of heads of state and government in Abidjan on 27 March. It demanded the immediate return to constitutional order, mandated the then-president of Burkina Faso, Blaise Compaoré, to mediate and sent to Bamako a mission composed of six heads of state to communicate the organisation’s message to Captain Sanogo and discuss the details of a return to constitutional order. However, the heads of state were unable to land in Bamako, as the airport runway had been overrun by a demonstration organised by the junta. ECOWAS played a decisive role in organising the post-coup transition. As a prominent Malian politician involved in the initial negotiations said: “thanks to ECOWAS, we have returned to constitutional order within three weeks”. ECOWAS continued to supervise the transition and corrected the deficiencies of the 6 April agreement to end the crisis. However, in 2012, many actors and observers were critical of ECOWAS’s action, especially that of Burkina Faso. Critics felt that the Burkinabe mediator, former President Compaoré, was given too broad a mandate, allowing him to conduct the discussions as he saw fit and compromising ECOWAS’s neutrality. ECOWAS found it much more difficult to respond when rebels and jihadist groups took control of more than half of Malian territory than responding to the coup in Bamako, exposing its major weaknesses when it considers using force. The threat of military intervention was meant to put pressure on Sanogo’s junta, which was committing atrocities in Bamako and the south of the country, as much as counter the armed rebel groups in the north. In both cases, ECOWAS was confronted with the limits of its military capabilities. It was impossible to deploy its soldiers to the densely populated city of Bamako to neutralise the Malian junta’s troops. An ECOWAS military intervention in the regions of Gao, Timbuktu and Kidal to liberate them from occupation by armed Tuareg and jihadist groups, alongside or in place of a Malian army in disarray, would have involved a major operation in the Sahara, where natural conditions are extremely harsh, against well-equipped, determined, organised combatants who knew the terrain very well. France’s Operation Serval and the deployment of Chadian troops, which suffered the heaviest losses in direct clashes with jihadist combatants in the Kidal region, relegated ECOWAS to the background. Perhaps too much so, given the significant role played by the deployment of contingents from the region’s countries in stabilising central Mali and the border areas. When military confrontation with the armed groups proved inevitable at the end of December 2012, ECOWAS quickly deployed troops from its various member states, despite the limited logistical capability of the organisation and contributing countries. Deployment of AFISMA troops and their movement toward different regions in Mali was slow and exposed the extent of the material and logistical inadequacies of the region’s states. The fairest judgment is that there was much goodwill but serious operational limitations. After northern Mali was taken back from the rebels at the beginning of 2013, ECOWAS regained a certain level of influence on the political process through the efforts of its mediator, Compaoré, whose country hosted the leaders of the northern Mali Tuareg armed groups for several months. In June 2013, the former Burkinabe president managed to ensure that the transitional government and the armed groups signed the “preliminary agreement on the presidential election and inclusive peace talks in Mali”. The Ouagadougou Agreement opened the way for the organisation of the presidential election in July-August 2013. ECOWAS’s response to the Burkinabe political-institutional crisis raised doubts about the organisation’s impartiality and neutrality, bringing to light the influence of prominent politicians of the region on its decisions. Private interests and personal friendships sometimes hampered the application of its democratic and good governance principles. This lack of professionalism possibly followed from the informal nature of its mediation. Faced with the political vacuum left by the sudden resignation of President Blaise Compaoré in October 2014 and Lieutenant-Colonel Yacouba Isaac Zida’s takeover of power, ECOWAS issued a first communiqué on 31 October calling on the parties “to embrace dialogue with a view to arriving at a political consensus that will lead to free, fair and credible elections consistent with constitutional provisions”. It said that “in line with its principle”, ECOWAS “will not recognise any ascension to power through non constitutional means”. The involvement of ECOWAS in managing the Burkina Faso crisis was a delicate task because President Compaoré had played a central role in the organisation for more than a decade. Between February 2012 and April 2016, the president of the ECOWAS Commission was a Burkinabe national, Kadré Désiré Ouédraogo, who was Compaoré’s prime minister from 1996 to 2000 and ambassador to Brussels between 2001 and 2012. Although he was never a political activist within the regime, this technocrat had always been an important part of Compaoré’s system. It was difficult for Kadré Ouédraogo to express an opinion on his former chief’s plan to revise the constitution, especially given that the latter had vigorously defended his candidacy to the most important function at ECOWAS. The appointment as director of the United Nations Office for West Africa (UNOWA) in September 2014 of the Ghanaian Mohamed Ibn Chambas, who had been executive secretary and president of the ECOWAS Commission between 2002 and 2010, was timely for managing the Burkina crisis. He played a more visible role than the president of the ECOWAS Commission. The joint ECOWAS-AU-UN mission was therefore able to reduce the perception among Burkinabe stakeholders that ECOWAS was close to the Compaoré clan. However, some civil society stakeholders criticised ECOWAS for not having opposed the presidential manoeuvres early enough to prevent the crisis. In fact, the organisation would have found it difficult to influence Compaoré and his allies, who were convinced they were going to win and stay in power. They ignored the reality of the situation and did not listen to external warnings. Following an ECOWAS assessment mission to Burkina Faso in August 2014, the organisation’s analysts were perfectly aware of this obstacle. Moreover, the regime’s initiative, taken more than one year before the presidential election scheduled for the end of 2015, was not a flagrant violation of the 2001 Additional Protocol. Following the coup carried out by the presidential guard (RSP) on 16 September 2015, ECOWAS dithered and did not take as firm a position as the AU, which quickly condemned the coup and imposed sanctions on its authors. Instead of isolation and targeted sanctions, ECOWAS chose mediation. On 18 September, a delegation led by the ECOWAS chairman, Senegalese President Macky Sall, and his Benin counterpart, Thomas Boni Yayi, went to Ouagadougou. After two days of consultations, the delegation made a proposal that worsened the situation rather than eased tensions. It proposed an amnesty for the coup leaders, which was rejected by most Burkinabe actors within the civil society and the political sphere alike. The Burkinabe people eventually found a way out of the crisis themselves after the army defeated the RSP and reestablished the transitional institutions. In its defence, ECOWAS said that its proposal for ending the crisis was not supposed to be a final agreement but an opening gambit to get discussions off the ground. It also felt it was unfair that Burkinabe civil society assumed its bias for the Compaoré clan, when it had invested time and resources to find a solution to the crisis. Finally, the friendships between heads of state seem to have played an important role in the inability of ECOWAS to act more firmly against the coup leaders. Close associates of Compaoré and General Gilbert Diendéré, leader of the coup, apparently activated their networks to put pressure on the organisation to tone down its position. Individual loyalties also made it difficult for some to take a firmer position against the Compaoré clan, which had made and unmade several governments in the region and to which many owed their position and even their survival. Like the crisis that preceded Compaoré’s departure, the September 2015 coup highlighted the tension between the personal dynamics and ties of friendship of leaders and former leaders of ECOWAS member states with the need to strictly apply the organisation’s rules.